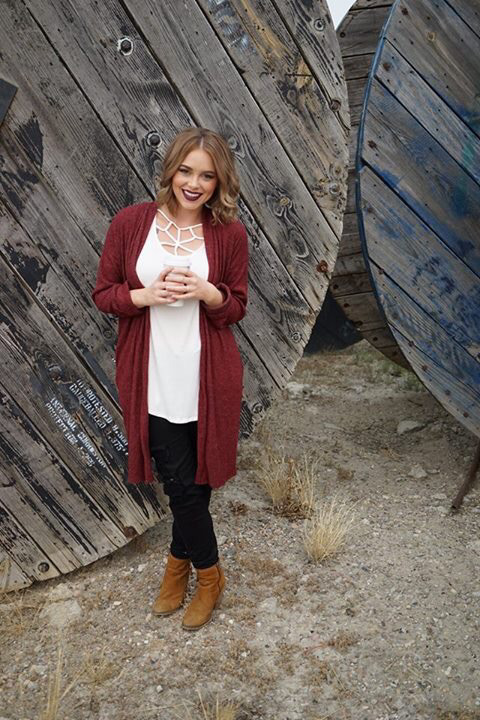 Dress up any simple outfit with this cute cardigan overlay! This beauty will have you looking casually fabulous! Drapes down to your knee and has pockets.